Flamingo Hotel & Casino is a popular choice amongst travelers in Las Vegas (NV), whether exploring or just passing through. The hotel offers a high standard of service and amenities to suit the individual needs of all travelers. 24-hour room service, casino, 24-hour front desk, facilities for disabled guests, luggage storage are just some of the facilities on offer. Comfortable guestrooms ensure a good night’s sleep with some rooms featuring facilities such as television LCD/plasma screen, cleaning products, linens, mirror, towels. Recuperate from a full day of sightseeing in the comfort of your room or take advantage of the hotel’s recreational facilities, including hot tub, fitness center, sauna, outdoor pool, spa. 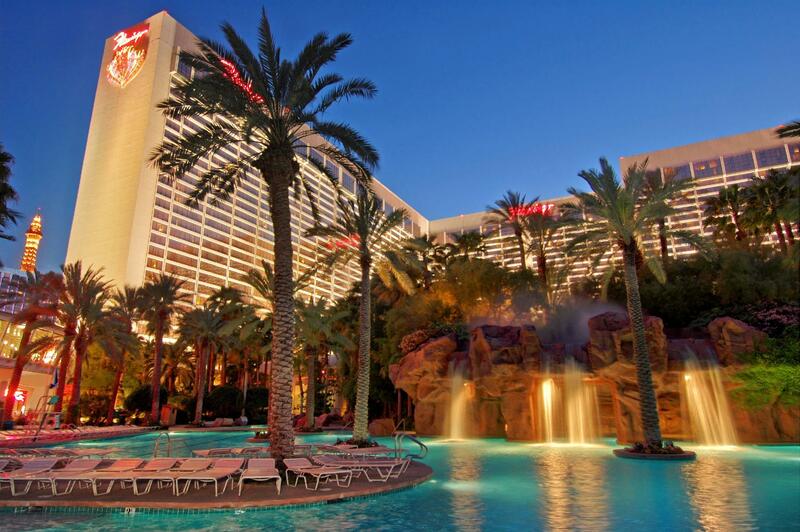 Flamingo Hotel & Casino is an excellent choice from which to explore Las Vegas (NV) or to simply relax and rejuvenate.